A Vision. A Plan. Prayer. Action. Glorious! Tears, cheers, applause, hearts were touched. God was glorified. It was a special and anointed time in the Grand Canyon. Sherry g Rambin, had a vision of filming the song How great Thou Art in the Grand Canyon, God’s Cathedral. It was planned and then it was time. A Saturday in September. Perfect day. The sun was shining, a gentle breeze, and music. It happened to be free visitors day and the park was packed. I must admit it was a little . . . scary . . . intimidating . . . but with Sherry’s encouragement I stepped out on the cliff, and began singing. It was as if I could feel the breath of God shining on my face. Singing echoed through the canyon. Literally, there were people from all over the world. They came up and chatted. Many didn’t speak English, yet they came up, some with tears in their eyes, and they thanked us for the experience. Several of them heard the music several miles down the canyon at the other bus stops. It was amazing. It was totally a ‘God thing’. He did it. He touched hearts through the music, through His grandeur. We were the vessels, we were humbled and blessed. It is my honor, my blessing to share this with you. To God Be the Glory! God gave me a vision. 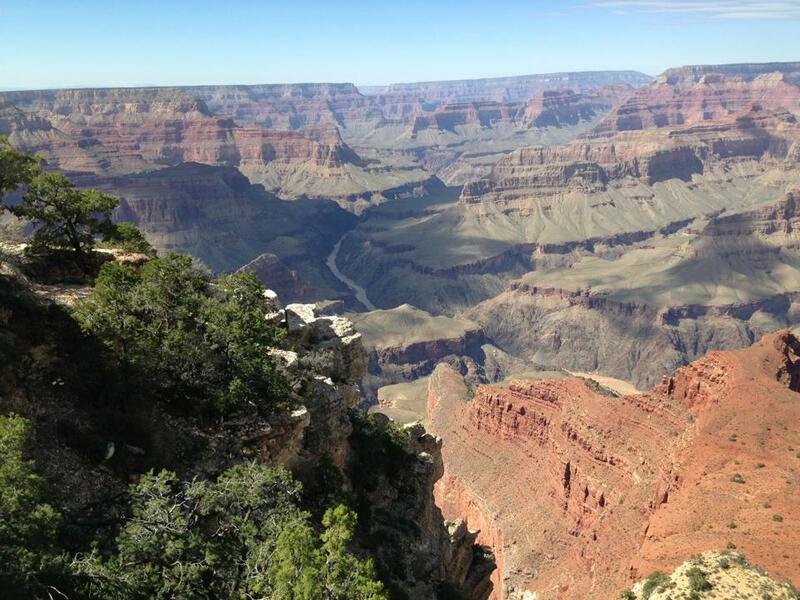 Imagine “How Great Thou Art” being sung in God’s Cathedral, The GRAND CANYON. Delinda Layne and I decided to make that happen. We prayed for God’s blessing on this project and were deeply blessed to witness the Spirit of God sweeping through 100’s of tourist in our path. The crowds gathered, cried, and applauded as they witnessed this event. As we moved to different locations, more crowds caught up with us as we continued filming – with awe in their voices, they exclaimed, “Oh my heavens… was that YOU singing – we could hear you from over there.” As they pointed to “over there”, it was literally miles from where we were filming… and the crowds grew. May the Spirit of God now touch you as you view: “How Great Thou Art” performed acappella by Delinda.